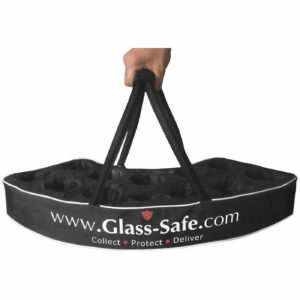 The Glass-Safe product is light, compact, easily manoeuvrable, robust and washable, making it incredibly practical. But it also adds professionalism to the necessary routine of glass-collection, and a touch of theatre, too. Please read below for further information and for bulk discounts see the Additional Information tab. Balancing empty glasses and hoping not to drop them is a thing of the past, glass-collection just became easy and safe! A dropped tray of empty glasses on a busy day is a nightmare scenario for any club, pub or restaurant. It can injure customers, pose potential risks to many and land licensees and operators with a heap of health and safety issues. But the prospect of a tray slipping from a staff member’s wet hands and creating mayhem could be a thing of the past with the launch of an exciting and innovative new product called Glass-Safe Hand Held! 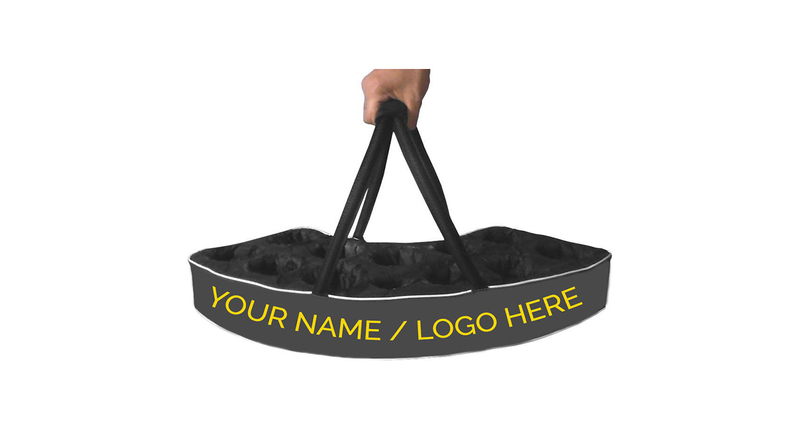 Made from the same canvas material as a modern day quality sports bag, and strengthened inside with the use of toughened materials, Glass-Safe is specially designed for the safe carriage of various sized beer and wine glasses, and also bottles. 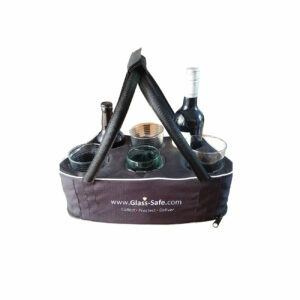 The unit has handles to facilitate easy carriage and is moulded to fit the body, leaving the hands of the bar staff member free. The unique ‘tray’ concept features expandable inserts, specifically engineered to secure glasses and bottles whilst in transit. There is no risk of any glass or bottle falling, thereby safeguarding the safety of both customers and staff. 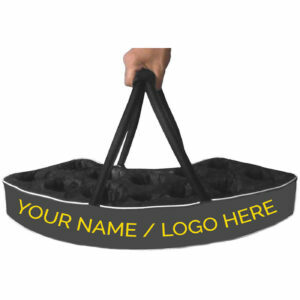 Please contact us for bulk purchase discounts from 20 units or higher.